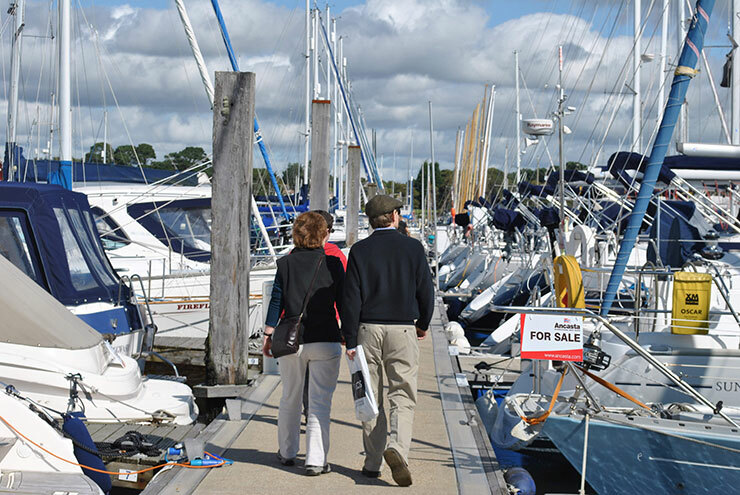 If you want to add a fresh dimension to your weekends away, a marine barbecue might be just what you need, read our boating bbq tips. Food tends to taste great in the open air on a lazy summer’s evening, but it tastes even better straight off a barbecue on your own boat. 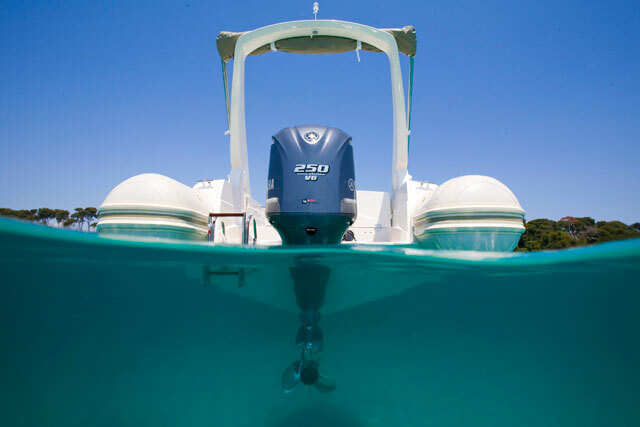 If you happen to make a habit of catching your own fish, that truth is even more pronounced, so it’s little wonder that the trend among motorboat builders for the option of built-in electric grills has snowballed in the last decade or so. 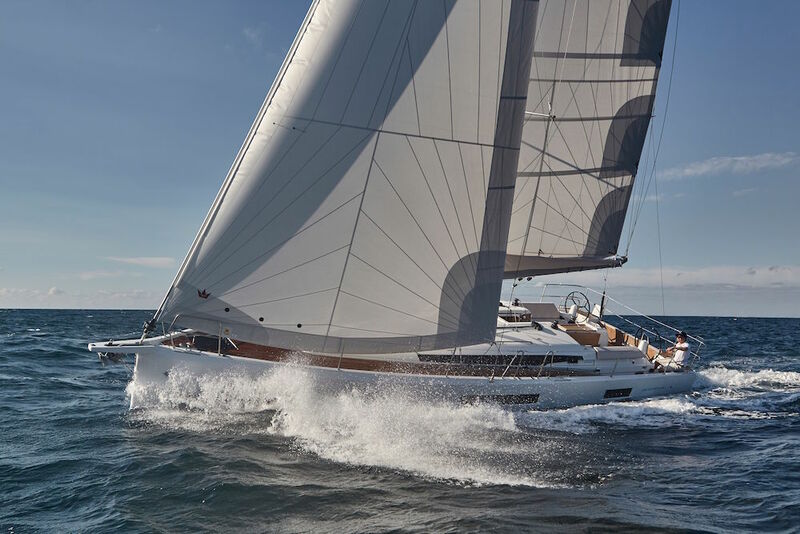 But if you’re not in the market for a posh new yacht with a factory-fit grill, you still have plenty of options – and (size and price aside) your primary task is to understand whether you want to go with gas, charcoal or electricity. 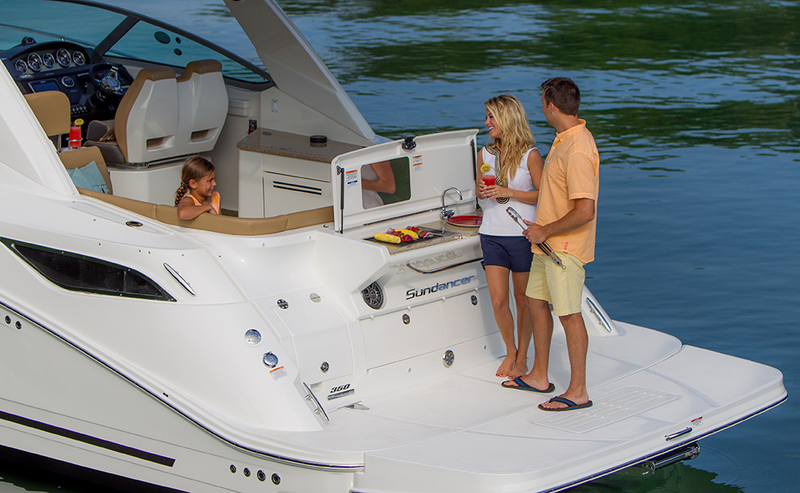 This Sundancer 350 has an inbuilt bbq, but there are plenty of options if your boat doesn't have a built in facility. The fact that propane is so cheap and widely available makes the gas bbq the go-to choice for the majority of boaters. You can use small, disposable fuel bottles on even the largest grills, helping reduce both storage demands and technical complexity, and the on-demand ignition makes them relatively quick to prep. They start from as little as £100, but while they can certainly be very affordable and user-friendly, they do of course lack the flavour and the traditional authenticity of charcoal models. There are also some gas-specific safety considerations to be aware of, but you can learn more about those in Boat Trader’s Propane Safety for Boats. On the face of it, a charcoal-filled barbecue on a small boat seems about as sensible as a pet tiger - but the industry has come up with plenty of solutions to circumvent the obvious hazards. The most simplistic of those is a metal box on an arm, which clamps to your external guardrail or slides onto a rod holder, enabling you to stand at the edge of your cockpit and do your cooking above the water. Many of these are designed to accommodate a conventional throwaway barbecue tray, so they are extremely easy to operate and they give you that seared, smoky flavour that neither gas nor electric models can match. They are of course much slower than gas or electric to prepare and they can also be bulky to store, but there are now some very sophisticated double-walled devices (like the Lotus Grill and the original Cobb) that enable you to cook over charcoal in a closed case that remains cool to the touch. It’s still a more labour-intensive approach but they are very versatile for the keen chef and much easier to handle. Unlike gas or charcoal, electric grills require a reliable source of AC power, either from a shore connection or from a generator. 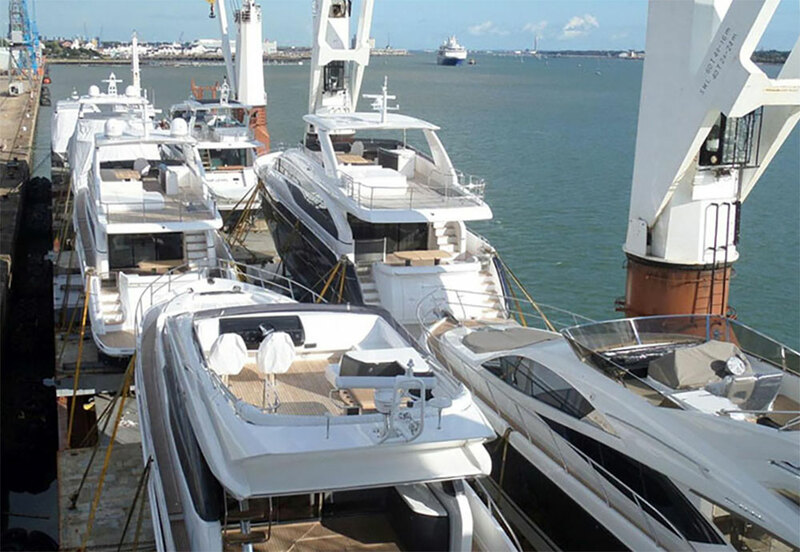 While you often see them integrated into the designs of modern flybridge cruisers or open-decked runabouts at the higher end of the market, there are some inevitable disadvantages attached to these types of electric grill. Their cost is significantly higher than either propane or charcoal grills; and the amount of electricity needed to operate them can also be prohibitive. On the other hand, the absence of a naked flame means you can use your electric grill in places where charcoal and propane grills are banned. Always use a grill designed and approved for marine use. Think about a portable cushion-topped marine coolbox to improve food storage and to add extra versatility to your barbecue zone. Never grill while underway or leave a lit grill unattended. Never use a non-approved accelerant to light a marine charcoal grill. 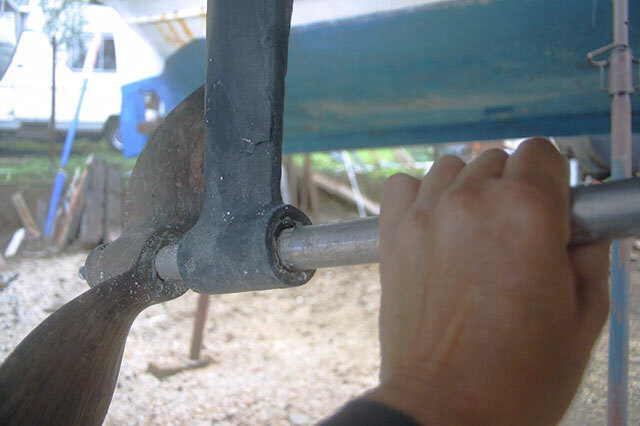 Most marine retrofit barbecues come with the option of rod holder, rail or pedestal mounting to suit your boat. If you’re planning on a barbecue afloat, minimise the stress by prepping your meats and veggies before you head out. Storage tubs and large sealable sandwich bags are great, both for transporting your gear and also for the clean-up operation after the event. Treat your grill to some proper TLC after every use or it will quickly start to resemble that forgotten hulk rusting away on your patio. Your shopping trip doesn’t have to end with the grill. You can accessorise with everything from utensils, mounts and covers to grilling lights, storage containers and additional rail-mounted tables and work surfaces. 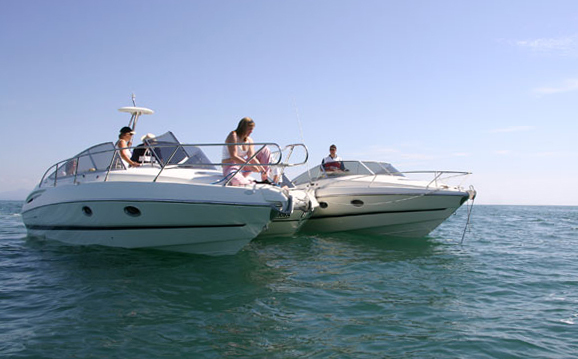 If you want the added benefit of a barbecue you can transfer form your boat to the beach, a portable gas or charcoal model (with leg mounts) is the obvious way to go. The Asado Grill with Lid is as straightforward as it gets. This simple rail-mounted box with hinged lid is designed to contain a regular disposable barbecue safely on board your boat. Based on Asado’s original lidless version, its stainless steel construction is very apt, its compact dimensions make it easy to store and its lid acts as a windbreak as well as a protective cover. 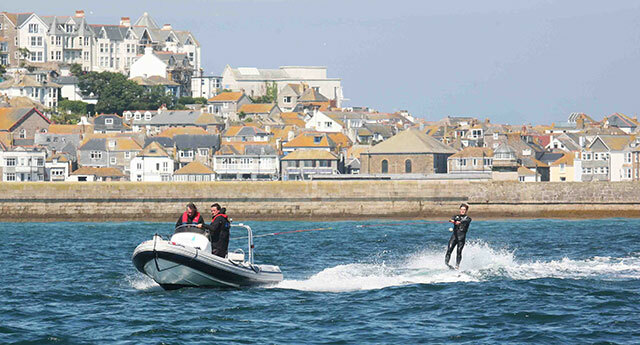 It’s a simple and very sensibly priced boat barbecue solution. The versatile cool-touch Cobb is a better barbecue than you are. The Cobb is a very clever piece of marine gear. The food is isolated from the coals so there are no flare-ups, no smoke and its cool-touch outer case means you can use it pretty much wherever you like. The company’s briquettes are by no means cheap but just six of them will provide you with cooking for up to four hours. It’s extremely well built too but the real bonus is its versatility. 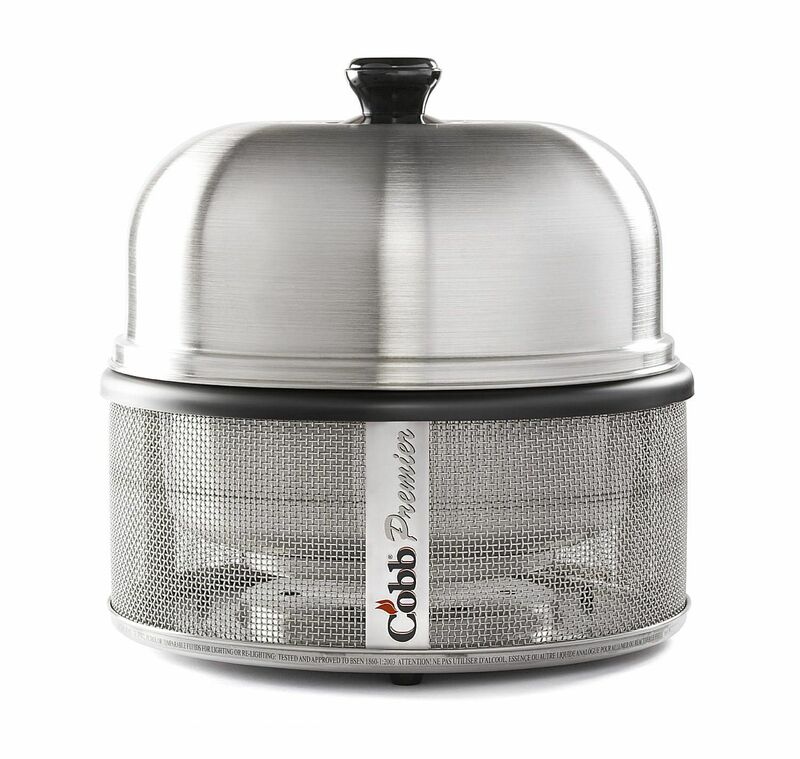 As a charcoal oven as well as a barbecue, the Cobb can smoke, roast, bake, grill or steam your food. Just make sure you read the instructions properly or you might just lose your rag before you get a chance to appreciate how good it is. The Lotus uses an internal fan to stoke the coals and speed up preparation. 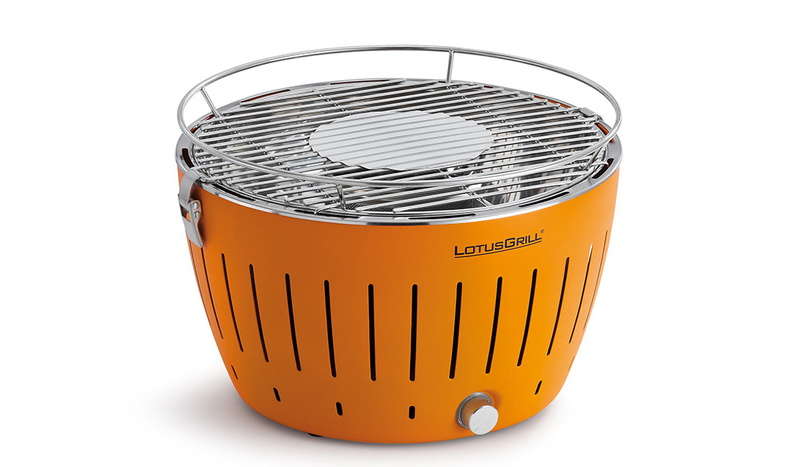 The use of an internal fan, powered by four AA batteries means that, despite using charcoal, the Lotus Grill can be made ready for cooking in just five minutes. At 3.7kg with a diameter of 32cm, it can cater for up to five people and it comes in a range of colours with a matching nylon carry bag. For added ease of use, the grill grid and inner bowl are made of stainless steel and can be cleaned in a dishwasher. A single loading of the compact internal charcoal container enables cooking times of between 40 and 90 minutes and the charcoal can be topped up whenever you like. If you like that idea, this excellent (and moderately affordable) device is also available in ten-man ‘XL’ form. It's not cheap but a Magma gas model makes everything very easy indeed. Magma is one of the most popular marine grill brands and while it offers both charcoal and gas options, this ChefsMate model is particularly popular. 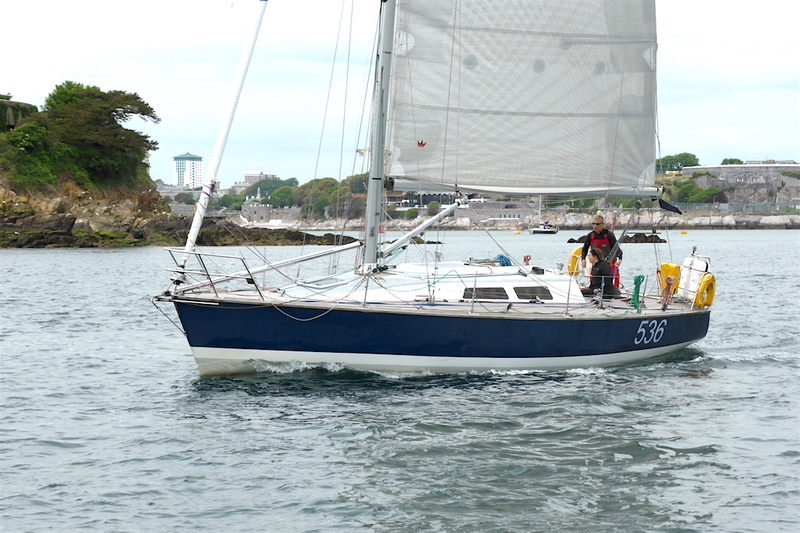 It uses standard disposable Camping Gaz fuel canisters but it will also adapt to your boat’s integrated gas supply. 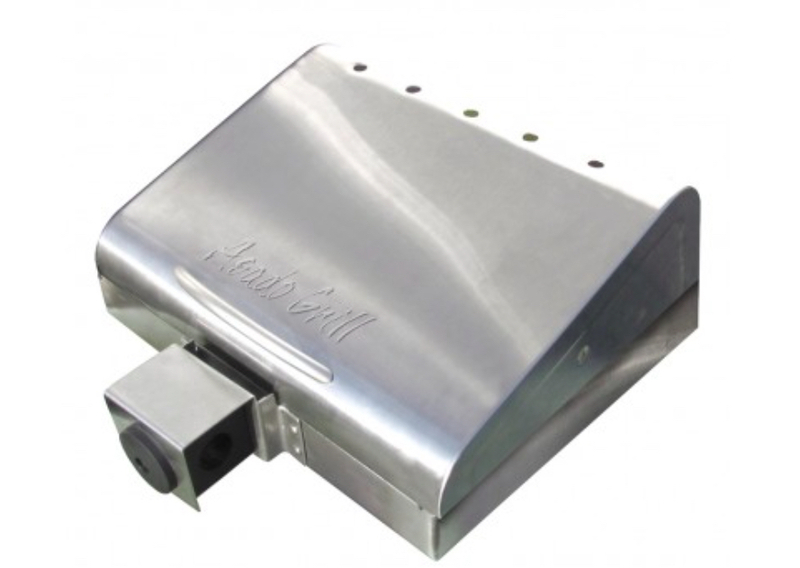 Built from mirror-polished stainless steel, the inner safety shell funnels run-off into a front-access grease tray, helping reduce flare-ups and the foldaway legs mean it can easily be used ashore. 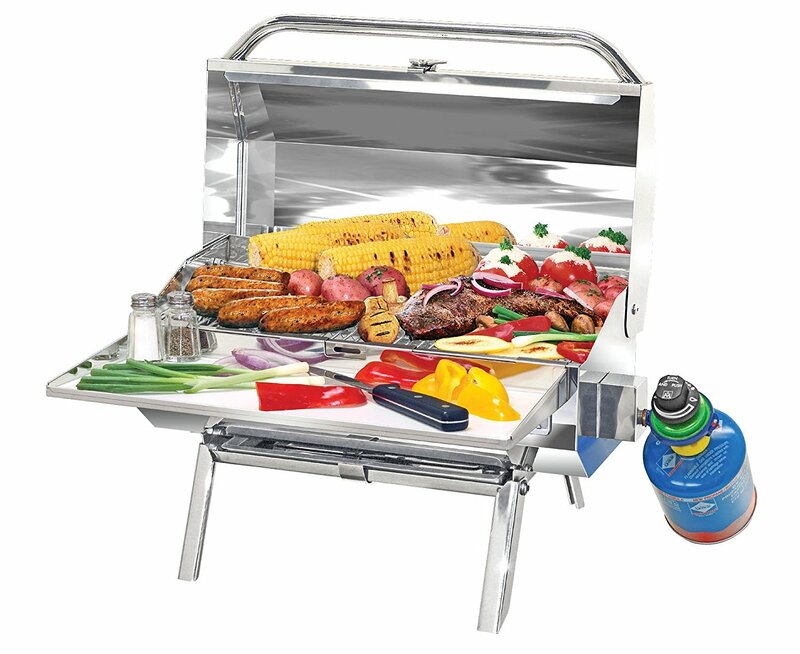 Designed to grill quickly and evenly, it dismantles for easy cleaning and comes with a lockable lid and a broad range of branded mounting options. Of course safety is an important consideration, it's worth reading Onboard fire prevention and Fire fighting at sea.